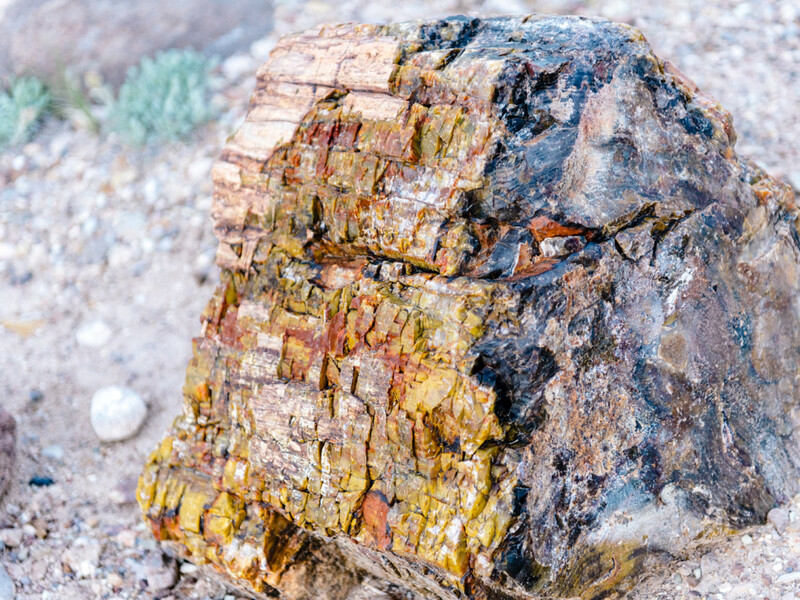 Petrified wood is kaleidoscopic in color and a clue into aeons past. The Petrified Forest State Park is located at Wide Hollow Reservoir. This small reservoir is popular for boating, canoeing, and fishing. There are a number of campsites, a RV park, and a scenic group site, which attracts folks to stay for awhile. 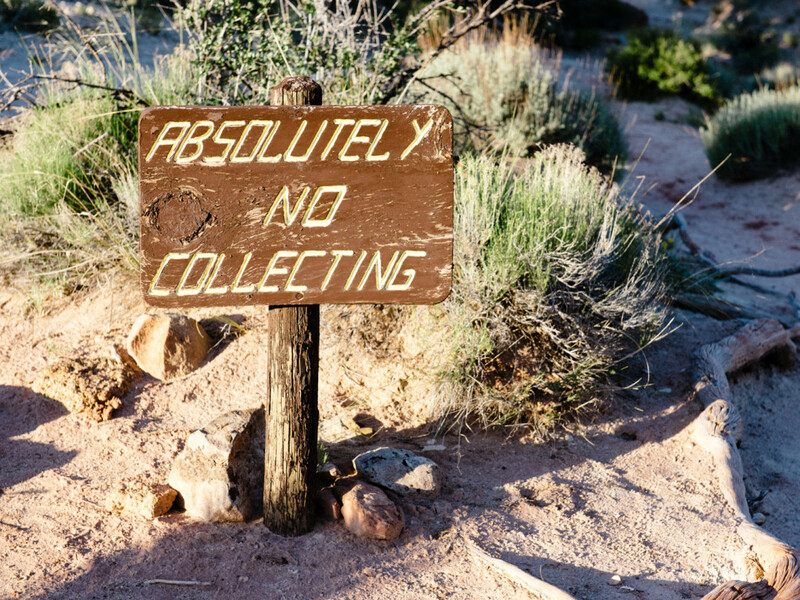 The on-site visitor center offers educational opportunities and displays of petrified wood, petrified dinosaur bones, ammonite, and shell fossils. 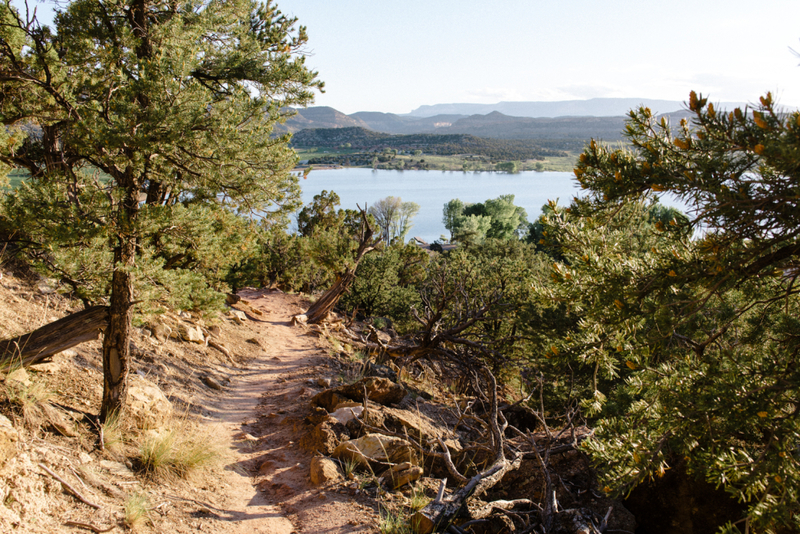 Stop here to begin your visit and learn more about the area before venturing off onto one of several trails or playing in the reservoir. 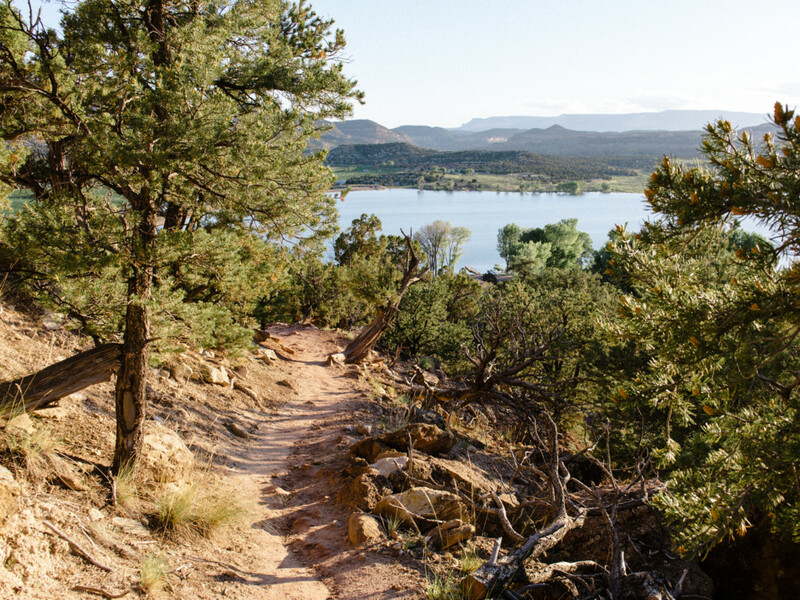 The proximity to Escalante makes this park ideal for day use and beyond. Located on the plateau two miles northwest of town, it is but a scant two miles away, off of Highway 12. Before you roll your eyes and say, “Oh wow, old wood,” take a look at these colorful specimens and note at what time, over millions of years, has done to these fossilized trees. You’ll be hard-pressed to find anything else quite as multi-colored in Southern Utah. The most-hiked trail in the park is the Petrified Forest Trail. This one-mile loop winds through lava flows and a juniper forest. Use the hiking guide you pick up at the trailhead to learn about points of interest along the trail and note spots with petrified wood. That said, there are thousands of specimens of the colorful logs to check out. An optional add-on—one that is totally worth your time—is the Sleeping Rainbows Trail. This .75-mile loop is much steeper than the other trails, where you traverse into one canyon and then up another, and requires moderate scrambling and climbing over rocks. This section has the most dense concentration of petrified wood in the park. Along the trail, named after the native Freemont Indian description of this region, you’ll see logs up to 15 feet long. In addition to the petrified wood and fun trails, the fishing in Wide Hollow Reservoir, which is fully stocked with rainbow trout and bluegill, is excellent, and the boating and kayaking is serene. The kaleidoscopic colors of wood reclaimed from the Earth; being in awe at the ancient remnants of time past; the expansive vistas of the reservoir and surrounding mountains from the top of the hiking loop; the cool, refreshing waters of the lake. Amateur arborists and people who like colorful things. A lovely hike, a scenic campground, a fish-laden idyllic lake, and colorful petrified wood, make for a destination that everyone will love. Park at the visitor center, the trailhead to Petrified Forest Trail, or the campground, all of which are within a stone’s throw of each other. Day-use fees are $8 and $4 for Utah seniors. Camping at Wide Hollow Campground is $19 per night on a first-come first-serve basis. 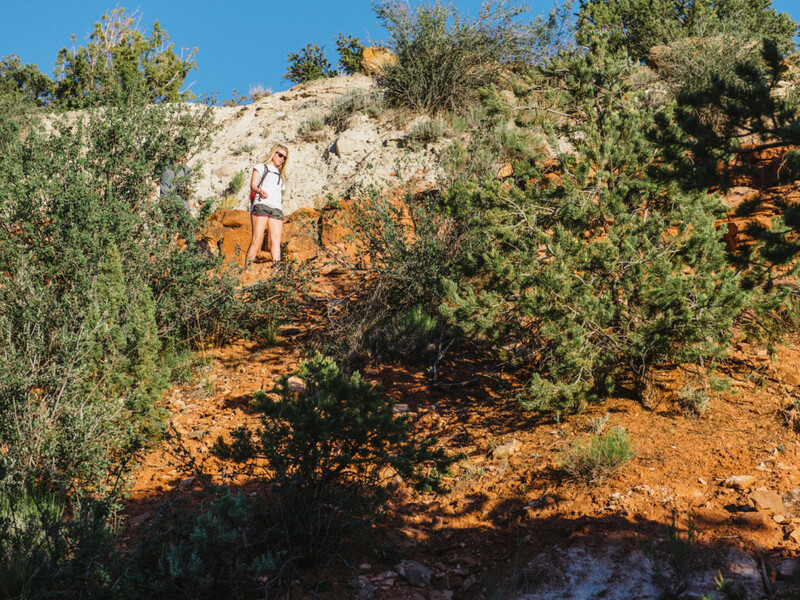 Escalante Petrified Forest State Park is open year-round and is best enjoyed from late-March to September when the temperatures are the most comfortable. If hiking during the summer, begin your trip early in the morning or in late evening. Dogs are allowed in the park. Difficulty: 1.5 (3 if hiking the Sleeping Rainbows Trail).